Horror films are obviously amazing, but there is something just a little extra exceptional about psychological horror. Of course, it totally fucks with your head. But outside of that, psychological horror lingers with you long after the credits roll. Some are gory, while others leave gore out in favor of subtle terror and tense scriptwriting. But they are always going to leave you terrified. 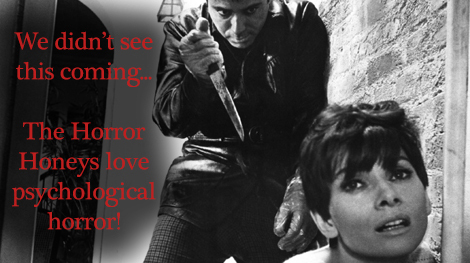 This week, the Honeys chose their all-time favorite psychological horror films! Do you have a favorite? Let the Honeys know on Twitter, using #psychologicalhorror!